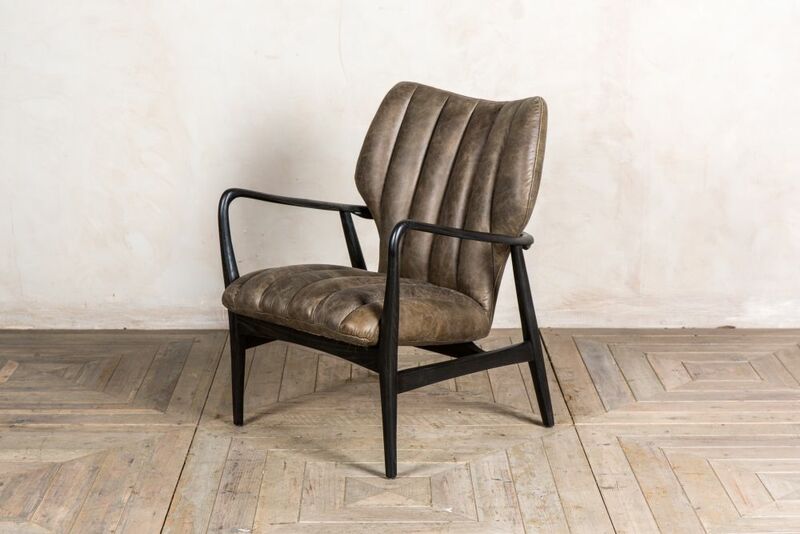 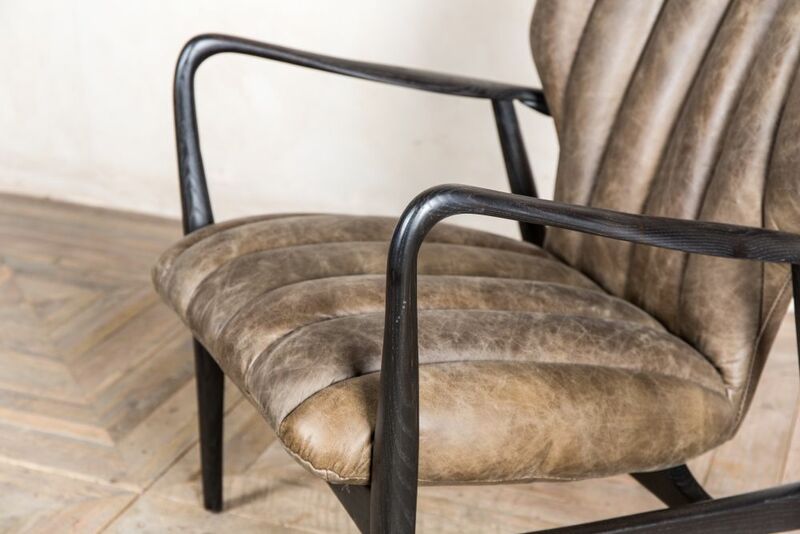 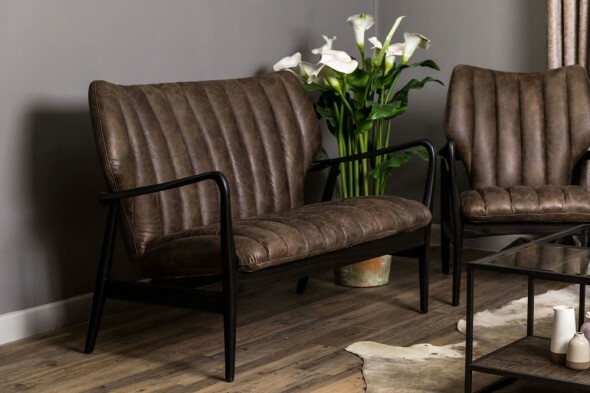 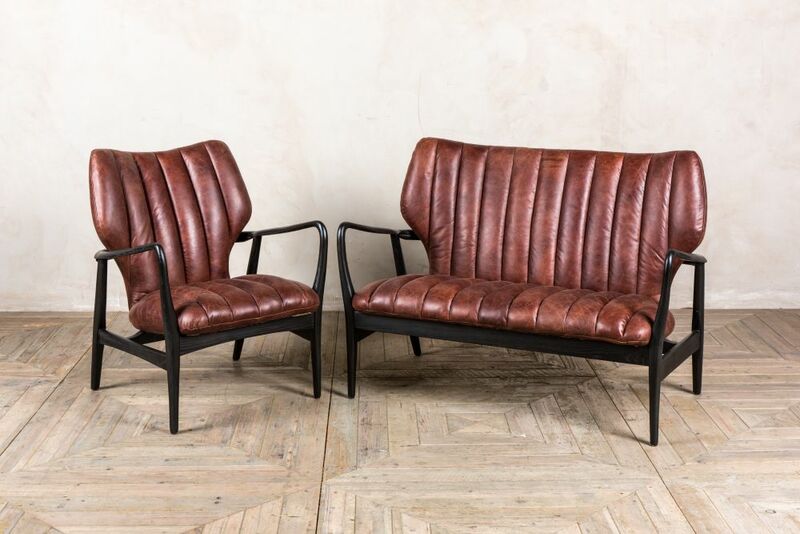 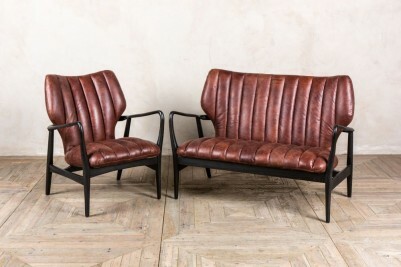 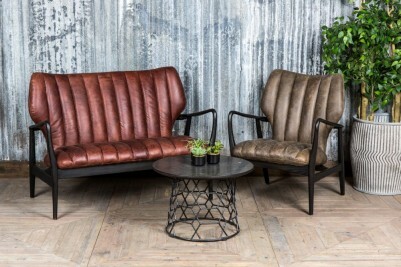 A classic example of retro design, this fantastic mid-century style armchair would be best suited to a vintage inspired interior, be that in a home or business. 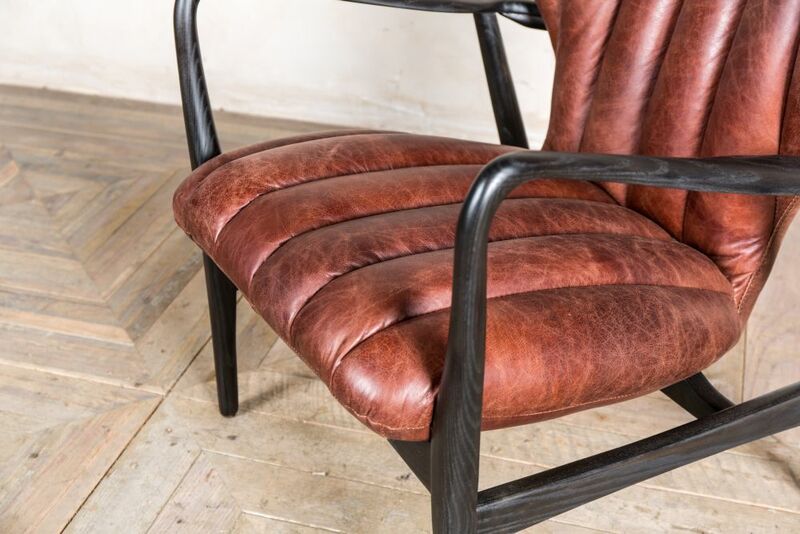 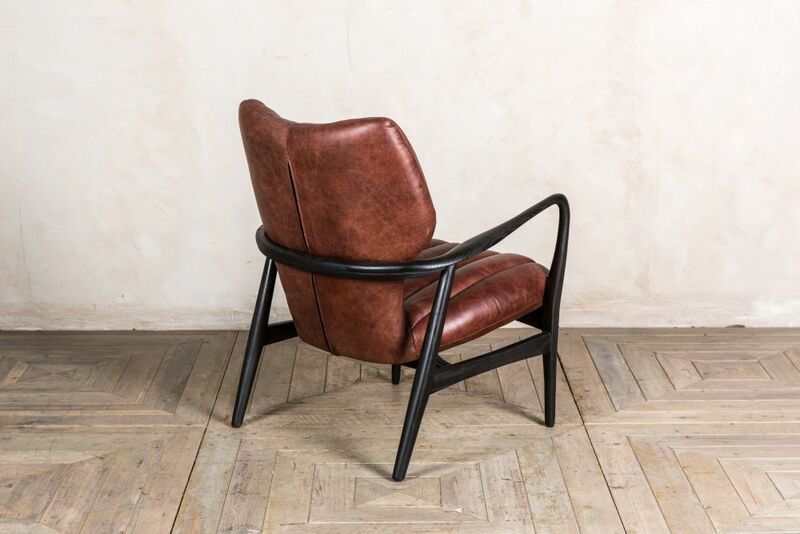 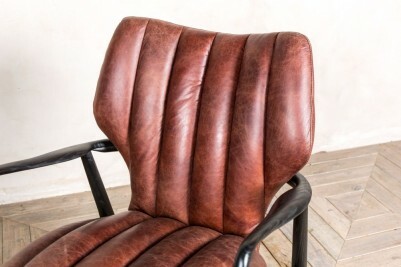 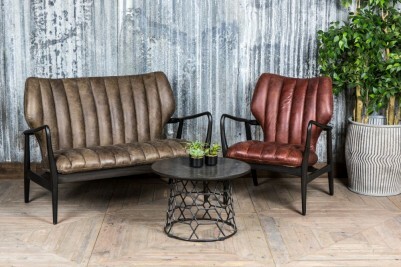 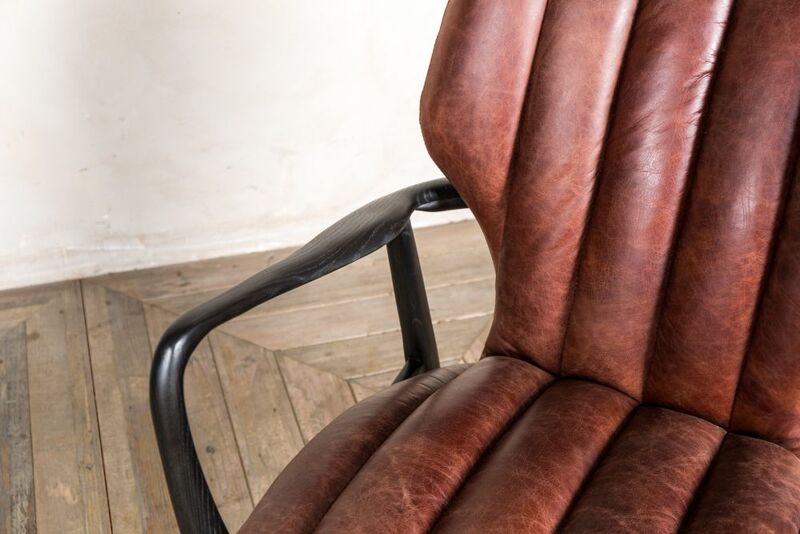 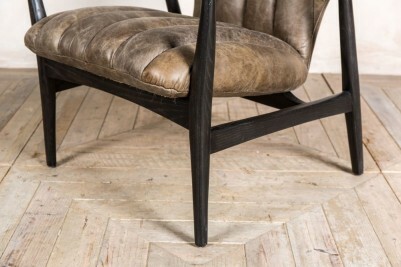 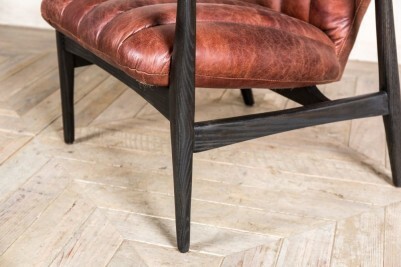 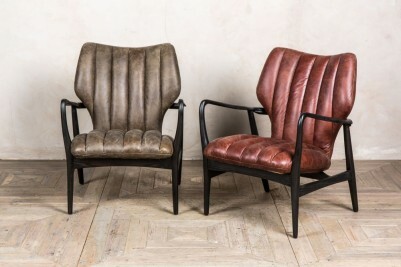 The chair is available in conker brown and chestnut leather. 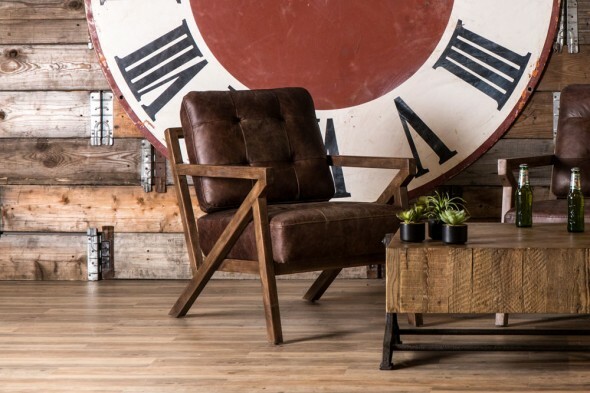 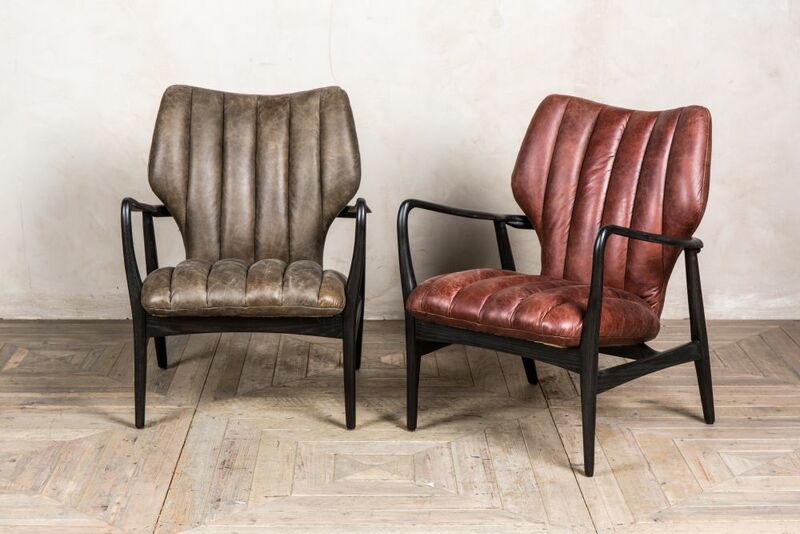 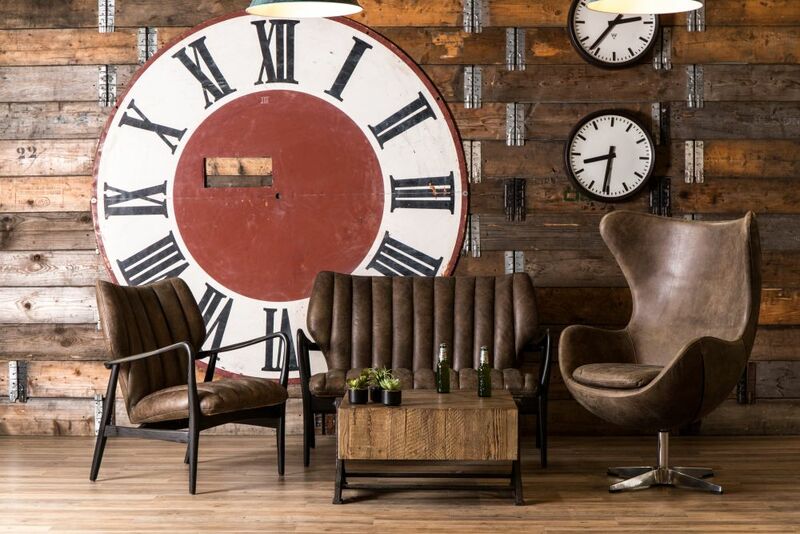 The conker brown ‘Ludlow’ chair has a more aged appearance, giving it an authentic vintage look. 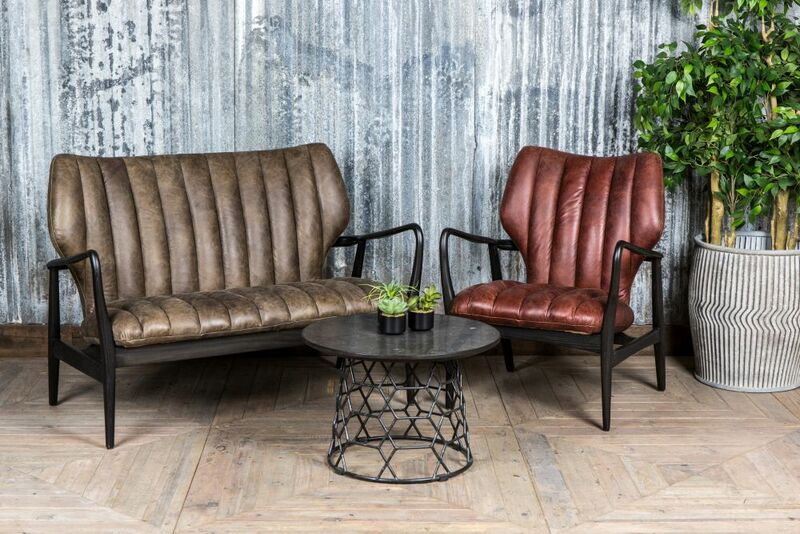 The ‘Ludlow’ chair in chestnut has a red tinge, and a shinier patina compared to the conker brown version. 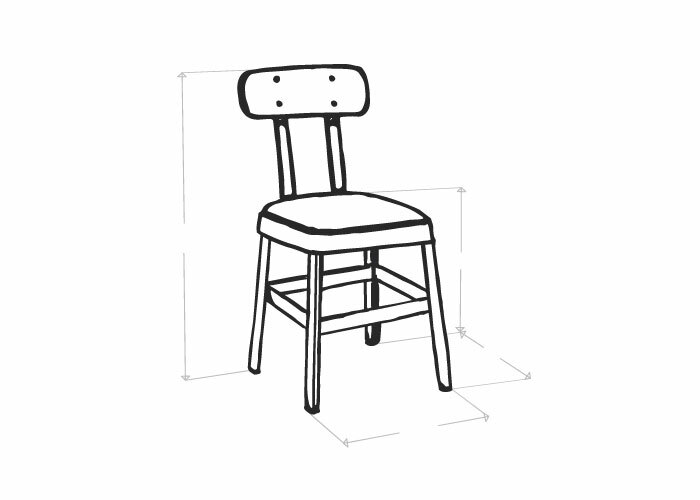 The chair features ribbed stitching and a wingback design. 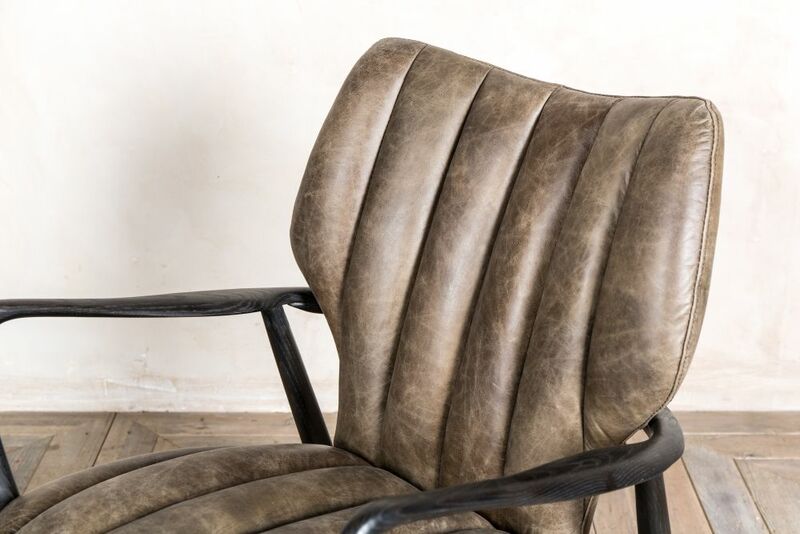 Its curvy shape oozes retro charm, which would add plenty of mid-century modern style to an interior. 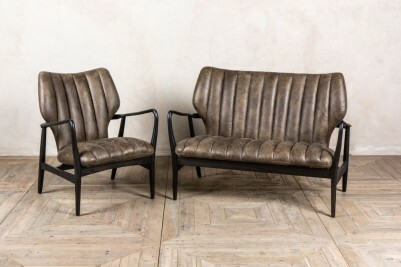 We also stock a ‘Ludlow’ sofa in the same style. 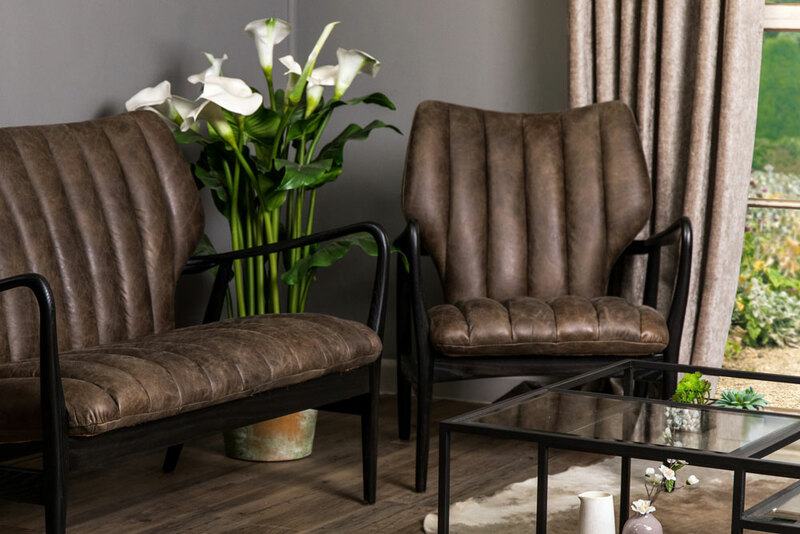 Browse our range of sofas and armchairs for more. 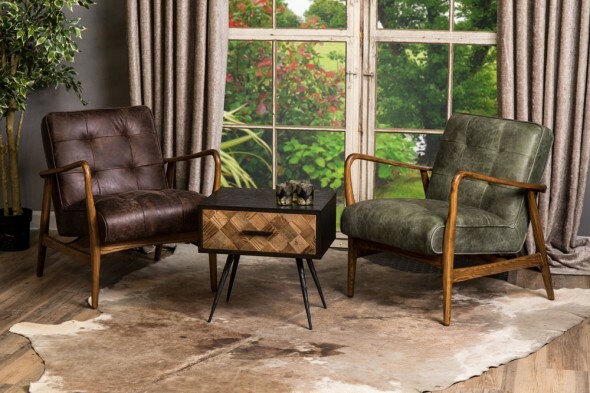 Other items are not included but may be purchased separately.